Observation - spider web - UK and Ireland. Description: A thick, rather confused web, with very visible entrances. Found at the base of a wall inside a brick tunnel. 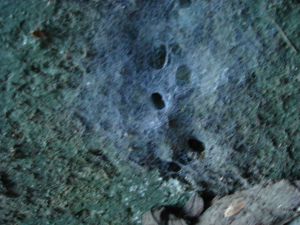 A thick, rather confused web, with very visible entrances. Found at the base of a wall inside a brick tunnel.